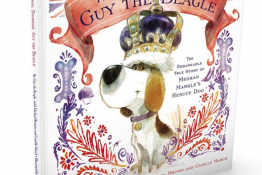 Know a dog with a birthday coming up soon? 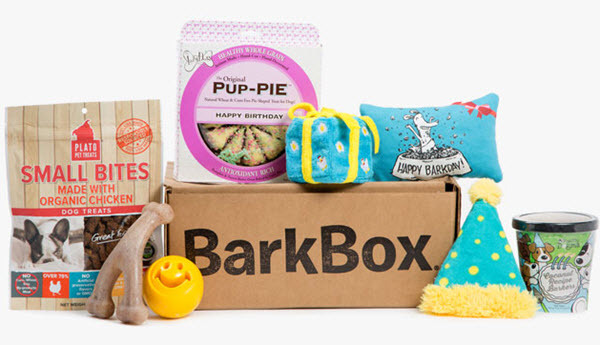 This special edition Birthday BarkBox for dogs is packed with goodies to make your dog’s birthday extra special! 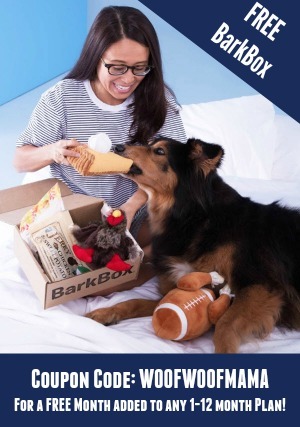 Comes in custom Birthday themed BarkBox- ready to gift! These are sold out again, so CHECK HERE for similar styles of dog shoes for men and women. Dog lovers, I just got the coolest new shoes! 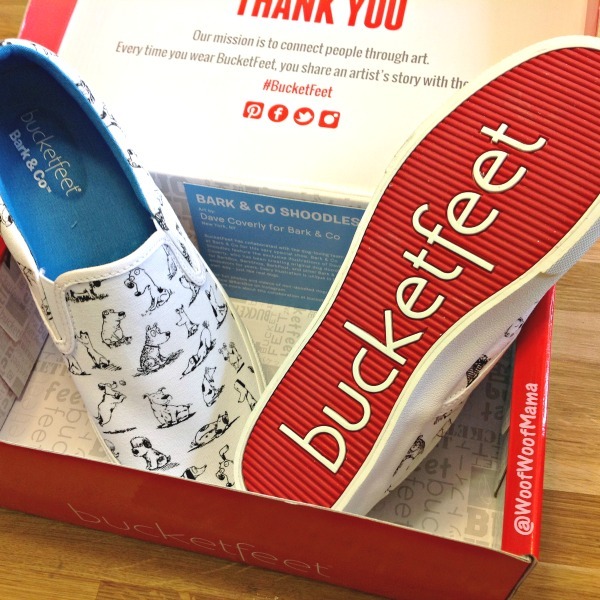 These cute and comfortable canvas slip-on shoes are made especially for dog lovers and come in men’s and women’s sizes. 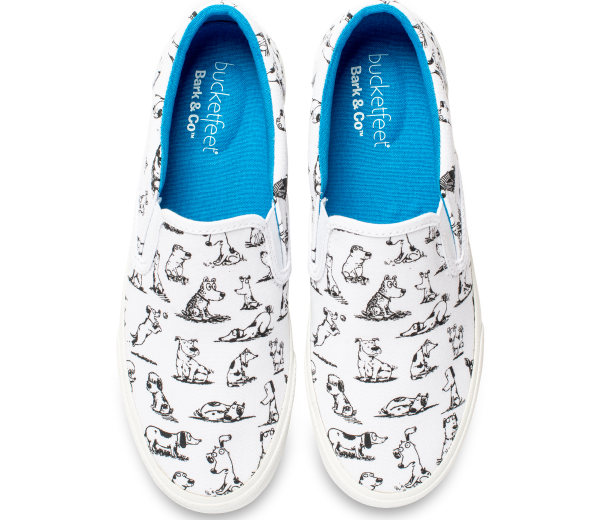 They are “Shoodles” designed with cool dog illustrations by Dave Coverly and created by BucketFeet. You can currently get all standard sizes for men and women, but it’s recommended that you go up a half size, as they run a bit narrow. I generally wear an 8.5-9 depending on style and the 9’s fit me perfectly! 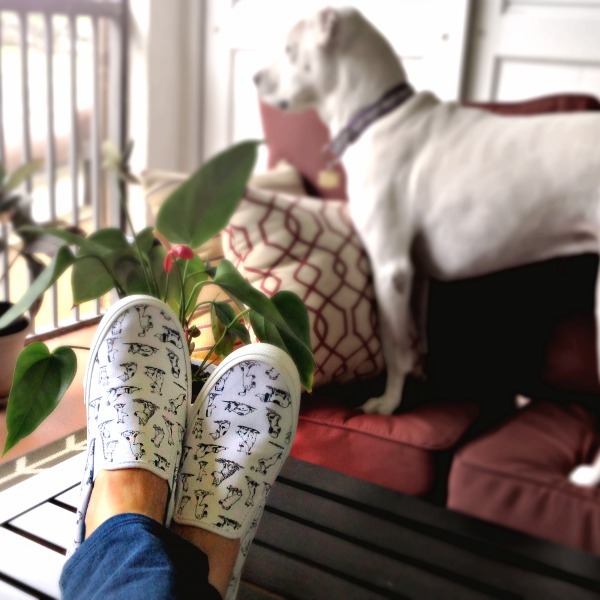 Not only are these shoes super cute, but they are also the perfect shoes for dog walking. They’ve got insoles with massaging air nubs for your toes, and a squishy bubble for your heels. I know you shoe-loving dog moms are probably thinking about ordering a pair for yourself, but don’t forget about your Woof Woof Papa, too. 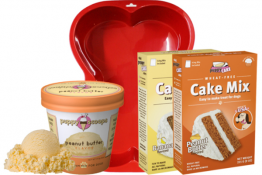 For a birthday, anniversary gift, or just because. Father’s Day is just around the corner, and these would make a PAWtastic gift for any guy in your life! TOMS Shoes Up To 40% OFF for Men, Women and Kids! Woohooo! TOMS will be on sale at zulily.com from 6am PT on 2/19 to 6am PT on 2/22! TOMS: One for One With its Giving Partners and customers like you, TOMS has transformed everyday purchases into a force for good. Every time you purchase eyewear, TOMS helps give sight to someone who needs prescription glasses or medical treatment. And with every pair of shoes you buy, TOMS gives a new pair to a child in need. To date, that’s over 10 million pairs! TOMS shoes are changing the world one pair at a time. This Wednesday (2/19), come find your perfect pair. For every product you purchase, TOMS will help a person in need. One for One. Plus, if you spend over $65 on TOMS you will receive FREE SHIPPING. So if you’ve got two feet and a heart, TOMS shoes might be just what you’re looking for. As with all Zulily sales, this one is members-only. 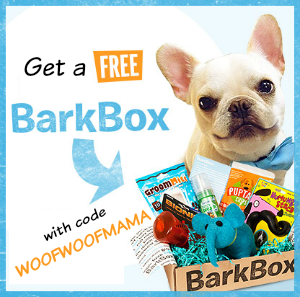 It’s FREE to join here and you’ll get access to all their great sales for adults, kids, home and pets. 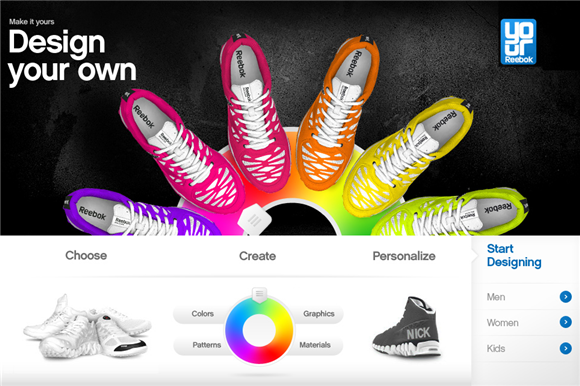 Kiddos love to express their individuality through personalization and now they can even design their own Reeboks! Now available for customization through YourReebok from Reebok.com is the popular back to school shoe, the kids ATV19! Have your kids design their own pair of ATV19s to start the school year off in style. With splatter print designs, and colors to choose from like candy pink, trust blue, sonic green and excellent red, your kids will have the coolest kicks reflecting their own cool style. Not only do the custom ATV19s look great, but this all-terrain running shoe features 19 large ATV lugs to help provide traction wherever kids roam. Customize your ATV19s from base to sole, and everything in between — you can even add text for personalization! Let your kids stand out in their custom ATV19s and make a lasting impression this back to school season. Order your pair of custom ATV19s today! One of my favorite brands is having a special sale right now over at Zulily and I wanted you to know about it, too! If you aren’t already aware, TOMS is a special company that donates a new pair of shoes or eyeglasses to a child in need for every pair they sell. TOMS and Zulily have put together a great selection and discounted all the prices so it’s a win-win! You get a super deal on cool shoes for you and/or your kiddos and a child in need somewhere in the world gets a new pair too! That goes for their designer sunglasses…except when you buy a pair of those, TOMS provides prescription glasses, medical treatment or sight-saving surgery. Zulily is a members-only shopping site, but it’s FREE to join here. 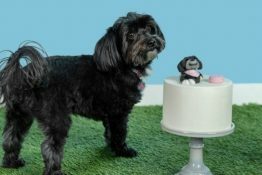 In addition to cool stuff like TOMS, they also run frequent pet sales on unique and boutique items you won’t find at the chain stores, and nice home decor and accessories too!